After harvesting, the mushrooms are taken as quickly as possible to Fresh Mushroom Europe in Meer. Here we make sure every wish of our customers is met. The mushrooms are packaged. Lids are placed on the boxes, packaging is sealed, and the products are made ready for shipment to the customer. 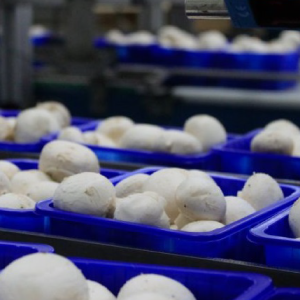 In order to meet the demands of today’s consumer, we also offer sliced and stuffed mushrooms that only require heating in an oven or microwave. And we make a kit for the consumer to easily cook delicious mushroom dishes.